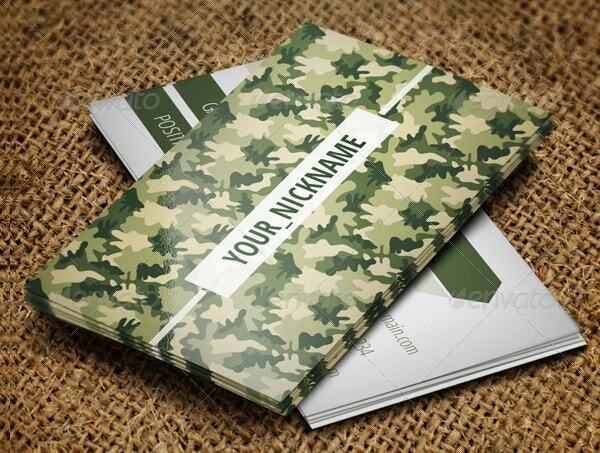 For those in the military, the usual corporate business cards won’t exactly work. 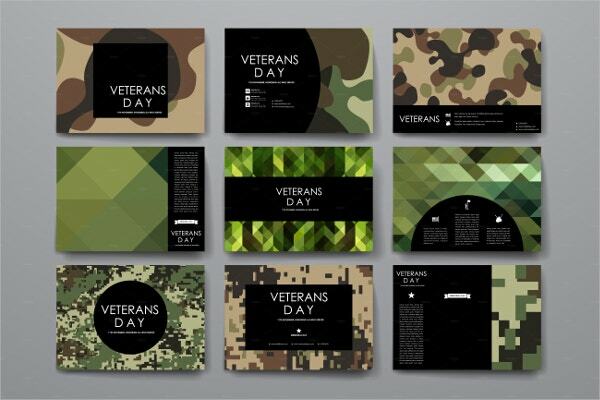 They would need the specific military business cards defined by typical military impressions such as the US Army star, an American patriot, the American flag at the backdrop and so on. The card will enable you to include your name, designation in the military, as well as all your contact details. Carry a stack of such cards proudly with you to any formal military event as there would be many who would be looking to get in touch with you. If you are looking for something different with your military business cards, this vintage card would be a great thing for you with its faded and worn-out look. 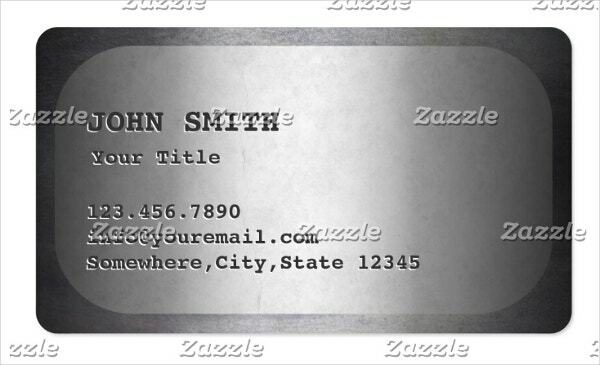 It would be great for a retired military business card, courtesy its retro outlook. The bold archaic fonts further complement the overall look. 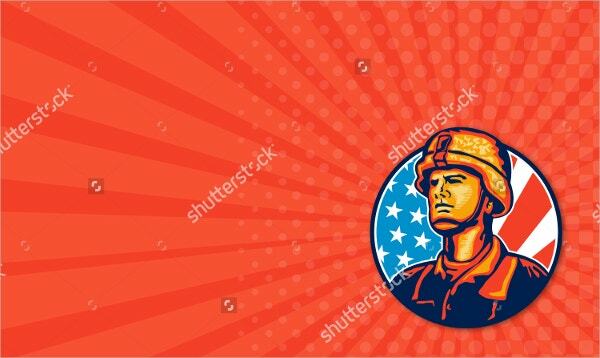 If you are into or have been in the great US military, this would be the perfect card for you with the illustration of the dedicated American patriot always ready to defend and fight for his country. There is a retro feel throughout the card with the grey backdrop and you have space to mention your name, your business name, your contact details and your tagline. 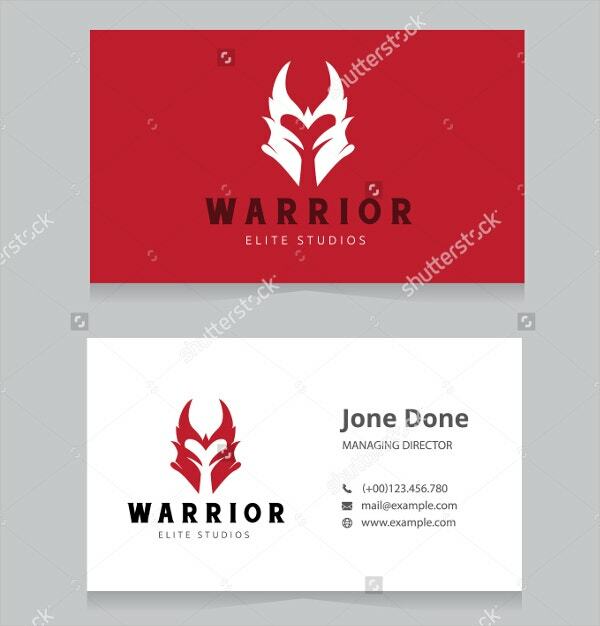 With the valiant logo of the Viking gracing the front side of the card, this business card template looks ideal for a true warrior. The same Viking logo is at the back in small, where, you also have adequate space to include your name, your designation as well as the contact details. 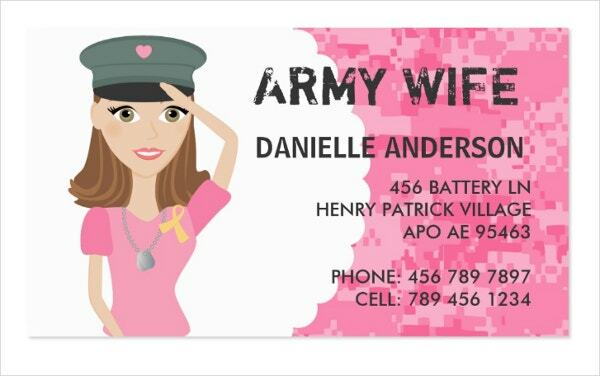 This modern military business card comes with 4 mighty armor background patterns that duly complement the fighting spirit of the army. This card would be suitable for anybody in the army, irrespective of the designation. Besides, these cards would also be useful for anybody professionally associated with the military industry. You can also see Simple Hospital Business Card. 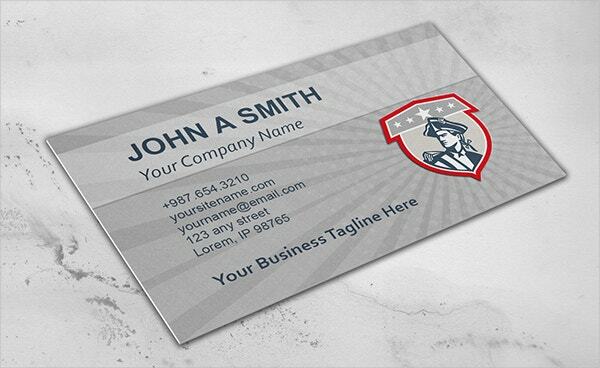 The military soldier business card comes up with the classic feel of American army where you have an American revolutionary soldier proudly waving the USA stars & stripes flag. There is a vintage feel all over the card with the crest shield designed in retro outlook and the light blue backdrop. 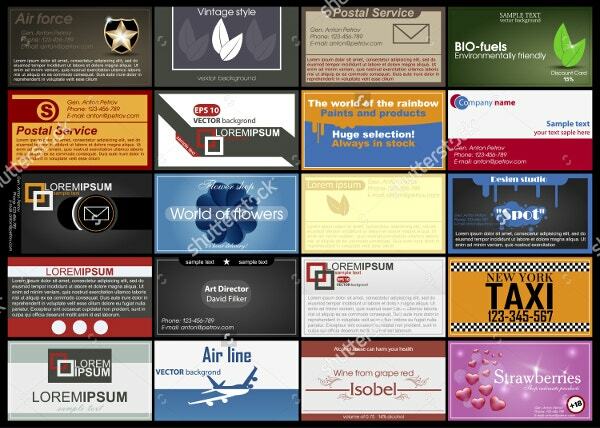 > What are the Uses of Military Business Cards? There are some positions within the military for whom a military business card is almost mandatory. They could be the Recruiter Officer or the Military Police. In fact, some appointments like SGM, 1SG or CDR are seen exchanging or handing the military business cards during formal or duty events. 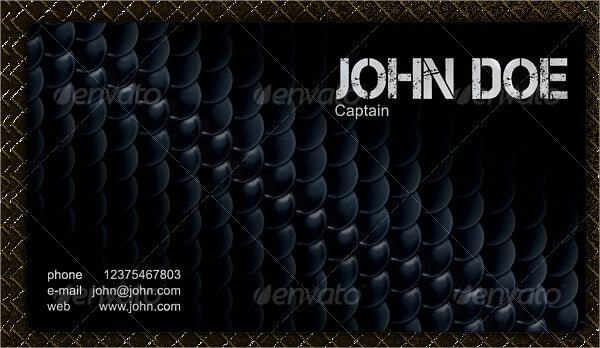 You can also see Music Business Card Template. A military professional is a well-respected personnel anywhere and a lot of people around would prefer to be in touch with him. In such situations, it’s always handy and more convenient to give out the business cards to those rather than dictating phone numbers. 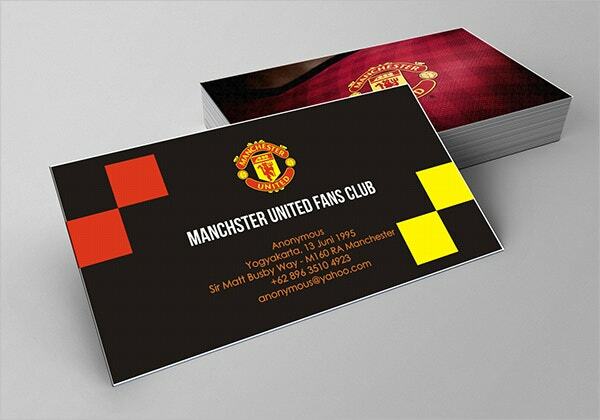 Moreover, a business card always makes one look more professional. 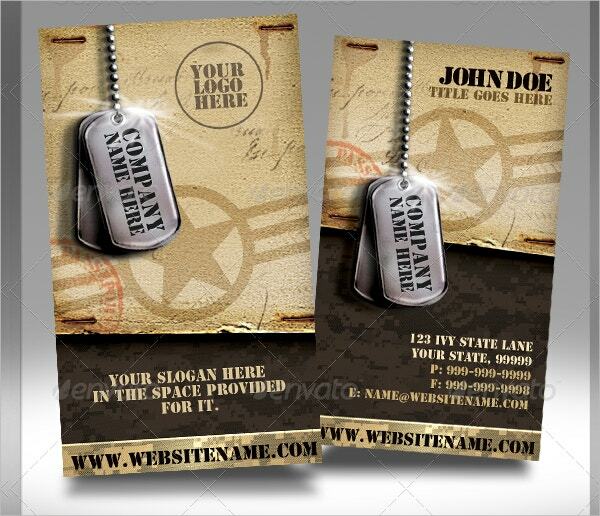 > How do Military Business Cards look? A military business card would always come up with a suave and refined aura, in tunes with the formal and aristocratic environment of the army. In most of the cases, you will have the impression of a devoted soldier looking forward to defending his country against the enemies. Some of the cards come with the illustration of an American patriot soldier bordered by a crest shield. Then, you have military business cards with the brave Viking artwork that complements the valiant spirit of our great soldiers. Besides, there are military business cards with the impression of tanks. All in all, these business cards carry the typical elements that immediately remind of the American army and our brave soldiers. 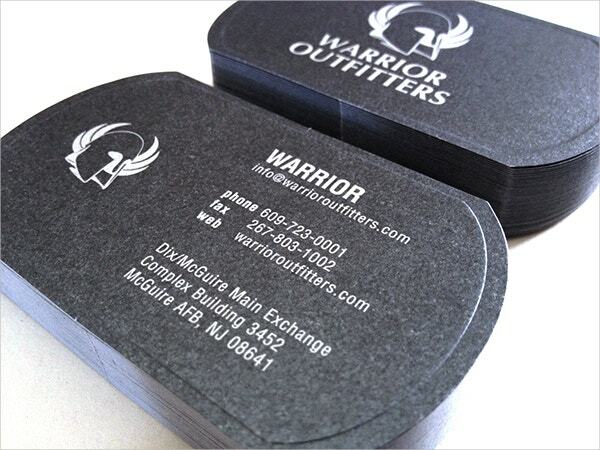 > Who does Military Business Cards Cater to? 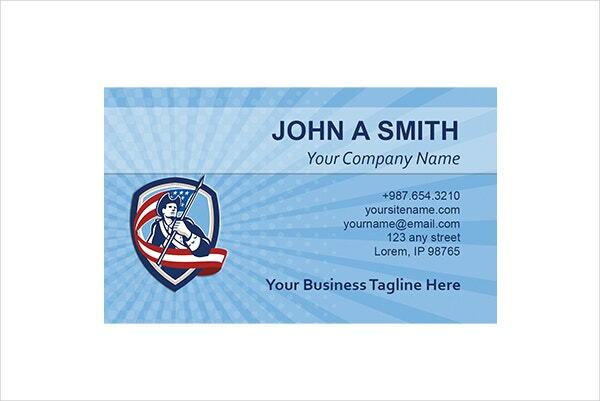 The military business cards cater to the professionals in the US army, navy as well as the airforce. Added to those actively serving in the military, the retired military professionals too might need military business cards. There are a good lot of retired military officers who prefer to be in service even after retirement and the business card here will help the folks around know that the former US army veteran is ready for another round of professional commitment. Besides, the military business cards are also required by those who somehow have a connection with the army and would have to highlight that esteemed bond in their business cards. 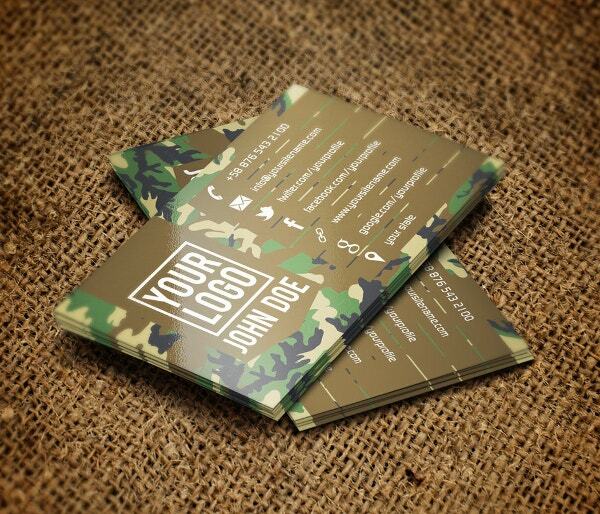 The military business cards come in different formats. Undoubtedly they are mostly formal and you will often have Embossed Military Business Card with the impression of a US soldier or the US Army star embossed on it. 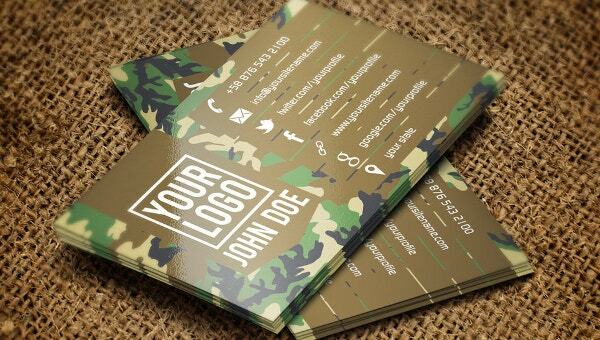 However, there are Funny Military Business Card options as well with cool taglines and cartoon artworks. 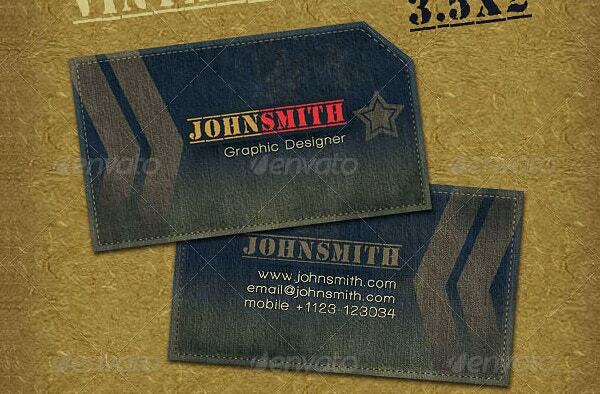 You can also see Cool Business Card Template.